Spark visits with Wayne Thiebaud, whose paintings of common, everyday objects such as cakes, pies, and gumball machines, rocketed him to fame in the 1960s. Then, we join singer-songwriter Vienna Teng as she returns to the Bay Area for a homecoming concert. Teng’s piano ballads have won her a passionate following around the world, and she returns to perform for her loyal hometown fans. Also in this episode, modern dance choreographer Janice Garrett creates a revealing new work for her company’s 5th anniversary season. Visit with choreographer Janice Garrett as she hands down her wealth of dance knowledge. 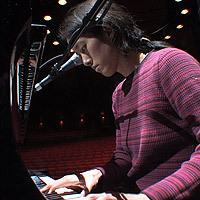 Get a backstage pass to singer-songwriter Vienna Teng's performance at the Palace of Fine Arts in San Francisco. 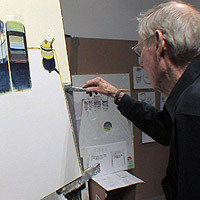 Visit with Wayne Thiebaud in his studio as he prepares for a traveling retrospective of his work from the past 50 years.